This promo came in the Dice Settlers box. It consists of 2 tiles. A 34 card real-time cooperative game for 2 players, designed for the occasion of Wai-yee and David Turczi's wedding, and released as an exclusive on a one-time Kickstarter campaign. Players play together trying to care for a dragon, making sure the dragon lives a happy and fulfilling life, eats often, and keeps his room tidy. Players will scramble in real time (5 minutes), to find all necessary icons on face down cards to complete tasks, that only their partner can see! 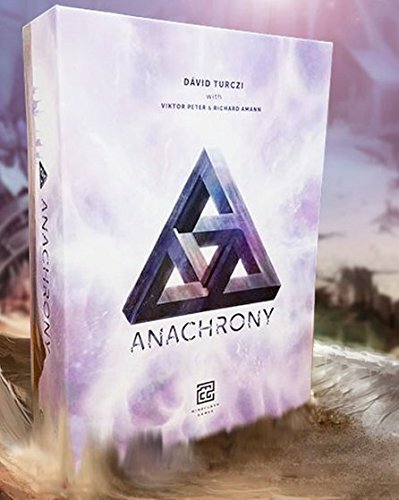 The Great Dahlgaard’s spectacular contest for his legacy, the Trickerion Stone, has set Magoria off to a new Golden Age. Under the wise guidance of Dahlgaard’s Heir, the city has once again become a bustling, flourishing center of magic and illusion, with a new generation of aspiring young Magicians on the rise. But now, without the power of the Trickerion Stone, the Great Dahlgaard is dying. In his last will, he entrusted his Heir with a grandiose task: he donated his old manor to be restored as the Academy of Magoria, a center of the education and perfection of magic tricks and illusion. The Heir issues a public call for contributors among Magoria’s aspiring Magicians: the Academy shall be restored as a common effort, but the most successful contributor’s name will be remembered forever as the Patron of Magoria. Dahlgaard’s Academy expands the magical world and gameplay of Trickerion with a slew of exciting new features: a A new Location - the Academy: Join the common effort to renovate the Academy! Each Renovation action awards Fame proportionately to the Coins spent on it, and opens up new Classrooms and Practice Rooms, where Academy markers can be placed. Academy markers in Practice Rooms give the performed Tricks increased Yield or other special placement abilities, while the Tricks taught in the Classrooms will be passed on to the new generations - they can no longer be performed, but grant a useful passive yield each turn. The Academy is also a place to train your Protegé, a new member of your team. A new Specialist - the Protegé: Each Magician will now start with the Protegé, a new type of specialist. The Protegé is more than just a worker - they will accompany your Magician on their path to greatness, constantly developing in the process. By Visiting the Academy, Protegés can acquire powerful new abilities that also increase their Action Points - and their salary as well! A fully developed Protegé will have 3 Actions points, just like the Magician, with some very powerful abilities to boot! A new quartet of Magicians: Magoria’s new Golden Age attracts aspiring young Magicians from all over the world, eager to prove themselves, and maybe one day become the Patron of Magoria. Each school of illusion (Mechanical, Optical, Escape, Spiritual) will receive a new, charismatic Magician, with their own personal backstory, powerful special ability. Solo Mode: Dalhgaard's Heir: This expansion will also feature a solo mode, with an elaborate story setting. Take a journey to a possible future of Magoria, where Dahlgaard’s Heir couldn’t resist the immense power of the Trickerion Stone, and dabbing into the supernatural has eclipsed their sanity. Magoria’s Golden Age is over - now the Heir controls it with an iron grip, and it falls to you to prove your superiority and remove him from power the only way the city knows - through magic and illusion. This solo mode features Dahlgaard’s Heir as a fully automated, intricate opponent with variable difficulty levels - a worthy foe to even the most seasoned Trickerion veterans! Build and manage your own dinosaur park in this strategic roll and write game for 1 or more players. Roll dice, draw pens and try not to let any dinosaurs escape! Each turn players share an expanding dice pool to work through three phases: add dinosaurs and buildings to the park, draw paths connecting attractions to the entrance, and control dinosaurs attempting to escape. The game ends whenever a player runs out of space in their park, or has had too many dinosaurs escape. The player with the most fame from dinosaurs/attractions and the fewest penalties from breakouts is the winner! Welcome To DinoWorld is the official game of GenCant 2017! A bundle of mini-expansions that were available during the Kickstarter for Kitchen Rush . It includes: Fish Order cards and Fish Ingredient tokens Greek Cuisine Order cards Hungarian Cuisine Order cards Health Inspection Mini Expansion (cards and tokens) Wine Mini Expansion (Cellar tile and tokens) Food critic Mini Expansion (cards) Note: 13 Chefs was also included in the pack sent to KS backers. Copies of the KS Promos sold after the campaign do not include it. All the paranoid 60s spy fun of [redacted] , now in the open air, and for up to 7 players! In [redacted]: Garden Party , the action moves outside. The added board allows for more space, enough for a 7th player to enter the embassy. The added locations also allow for even more cool actions and feints to be done, in addition to more ways to reach critical parts of the building. The added space to maneuver, additional missions, and new ways to escape with the intel actually make the game even faster by using the expansion. For example, using the Garbage Drop allows for an agent to look at discarded items and grab the gear necessary to escape a sticky situation. A promo item card for use in all [redacted] missions. Setup Shuffle up to two copies of Smoke Bomb into the items deck before drawing starting items, in any [redacted] mission. If playing with 2 or more types of promo items (more coming in the future), shuffle all copies of all such items together and randomly (and secretly) add four of these cards to the items deck. Rules A passive player may use a Smoke Bomb to avoid an interaction. When the active player enters a room, the passive player may play a Smoke Bomb before an interaction can happen. These players may not have an interaction this turn, and the active player continues playing. Note : The Smoke Bomb can only be played in the dark if the passive player also played Night Vision Goggles. Brettspiel Adventskalender 2018 Promo. Contents: 2 Starting tiles for Teotihuacan: City of Gods. 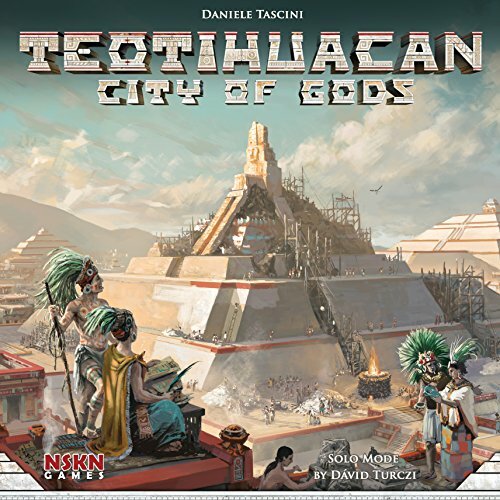 Rules: Before setting up a game of Teotihuacan: City of Gods, replace two random Starting tiles form the game with the two starting tiles from this mini-expansion. Steal This Game was designed by Dávid Turczi on the spot at SPIEL 2016 after an unfortunate incident left the publisher a full cash box short. This nanogame, playable by two players in five minutes or less, fits on a postcard (with two dice supplied by the players). The players take turns being robbers and exhibitors at a board game trade fair — rolling dice, lying, guessing, and shuffling cards. The exhibitor tries to hide cash in one of the cash boxes and keep it hidden - shell game style. The robber secretly rolls a pair of dice and then tries to make increasingly risky moves to gain more information about the location of the cash and move the clerk away from the full cash box. If the exhibitor catches the thief in a lie, the thief must immediately risk stealing from a cash box without additional information.